Brooke & Lucas Wedding. 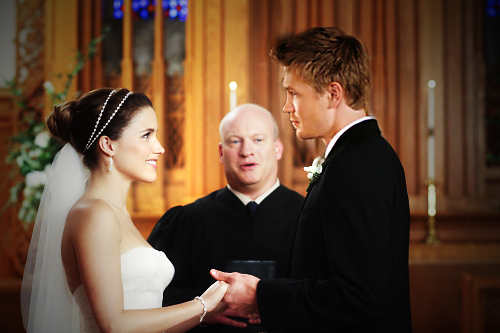 How it could have been if they were endgame.... Wallpaper and background images in the Brucas club tagged: brucas one tree hill brooke lucas wedding. This Brucas photo might contain geschäftsanzug, business-anzug, brautjungfer, and trauzeugin.